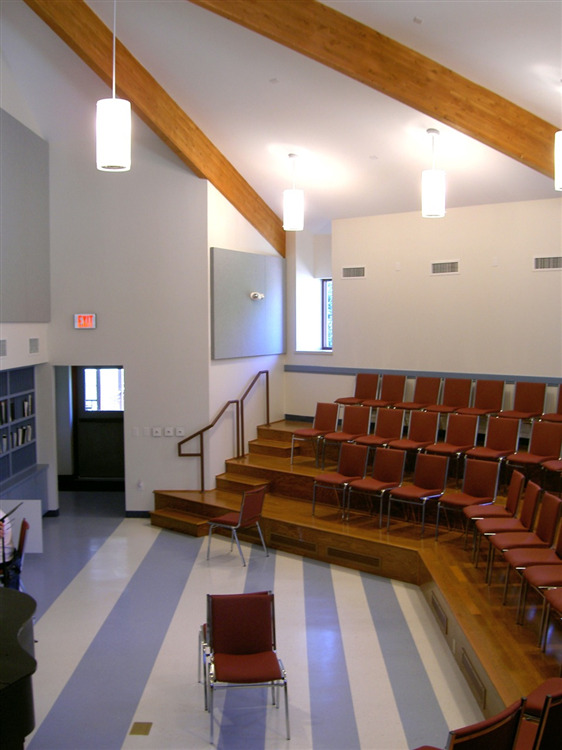 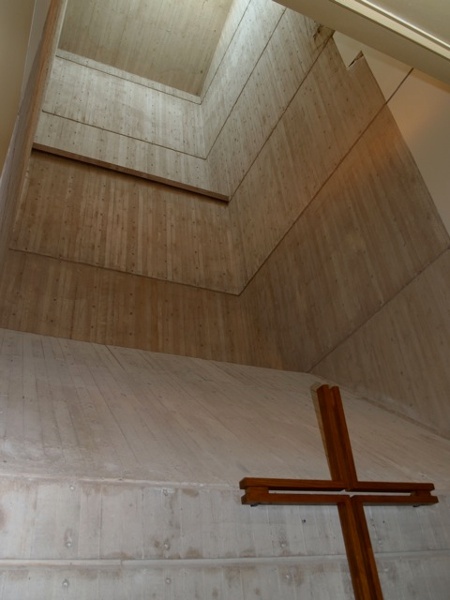 The original Master Plan for Northwest Hills United Methodist Church was developed by Heimsath Architects with extensive input from the congregation. To maximize the urban site, the decision was made to build multi-story buildings, and to take advantage of the natural slope so each floor would have access at grade. 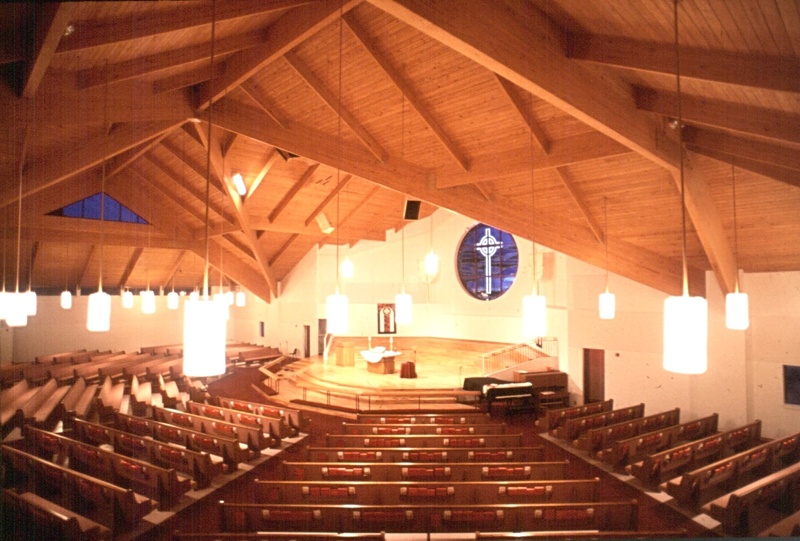 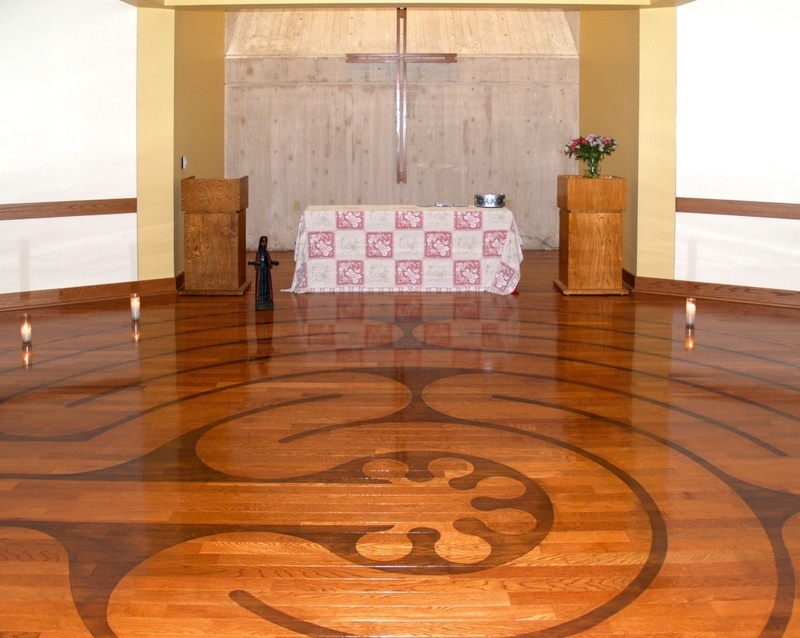 Phase I, a new sanctuary, was completed in 1995. 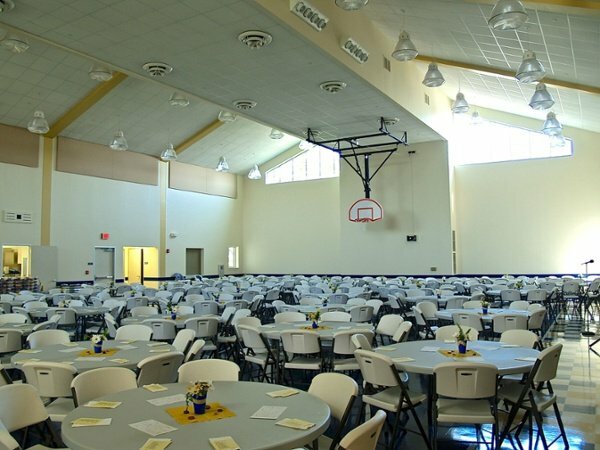 Phase II, Wesley Hall Family Life Center, was built on the site of the original church, incorporating the old concrete tower. 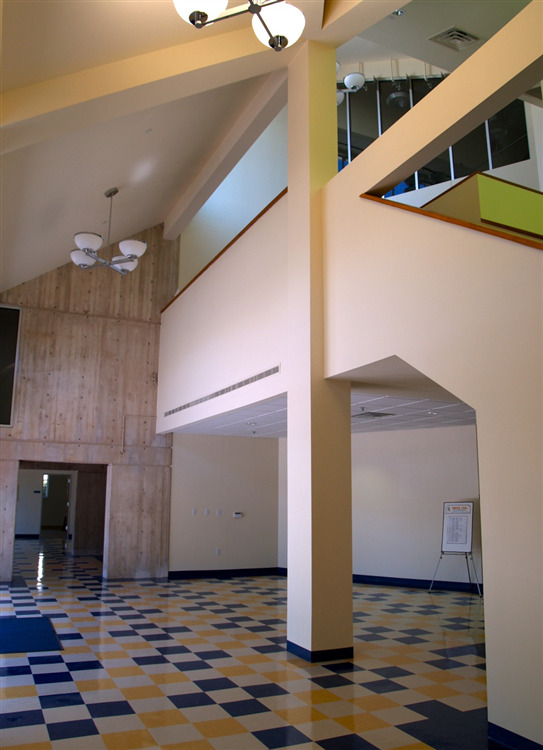 A prayer chapel and meeting rooms are on the first floor. The second floor has a multipurpose space for fellowship functions as well as a full-size basketball court, a commercial kitchen, support space, and meeting rooms. 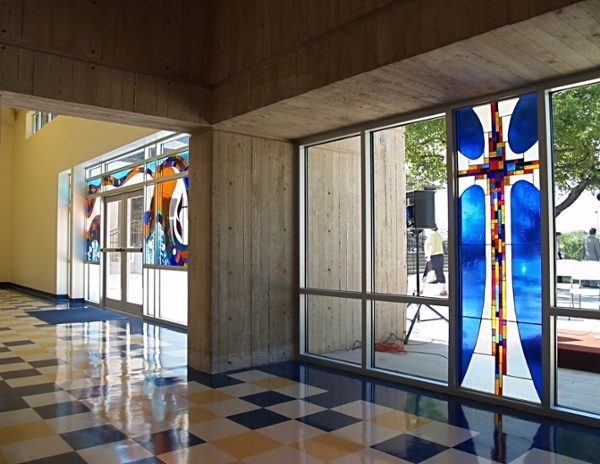 New foyer with stained glass.